The Unified Police Department partners with the City of Midvale to provide all of it’s police services. Settled in 1851, Midvale City is located at the center of the Salt Lake Valley and has a friendly “small-town” atmosphere. Starting as a center for mining and industry, modern Midvale City is home to a diverse group of over 33,000 residents of various ethnic backgrounds. Midvale shares a spirit of friendship and community of a city “in the middle of everything”. The Unified Police Department strives to make your home and work place a safer and better place to live and work. The Midvale Precinct consists of 1 Chief, 1 Lieutenant, 7 Sergeants, 3 Property Crimes Detectives, 6 Shelter Resource Officers, 3 COP/Directed Enforcement Detectives, 2 Traffic/Motor Officers and 23 patrol Officers. We also have a full-time Resource Officer assigned to Hillcrest High School and 1 full-time Resource Officer assigned to the Midvale Middle School and the Elementary schools. The Midvale precinct is in the heart of Midvale at 7912 South Main Street. 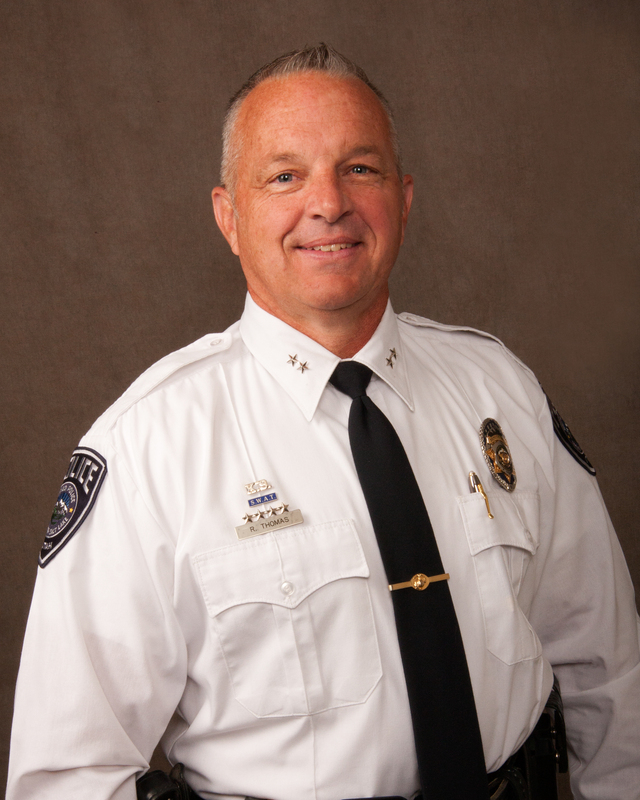 Our officers who serve the residents of Midvale have extensive law enforcement experience. Our officers are a highly trained and diverse group of dedicated professionals who serve with integrity, respect and professionalism. Unified Police provides in-depth support with specialized units such as S.W.A.T., K9, Investigations Division Units; Crime Analysis; Collision Analysis & Reconstruction; and Search & Rescue. Traffic safety has always been a concern of the citizens of Midvale. We have 2 officers dedicated to working traffic enforcement. They focus intently on the prevention of traffic accidents and congestion, while aggressively enforcing speed compliance. The traffic enforcement team also target traffic issues, such as school zone safety, red-light violations, distracted driving, and pedestrian safety. We have a strong "COP" (Community Oriented Policing) program. With the help of citizens, we work closely with you to help reduce crime in your neighborhoods and solve the problems that are caused by crime. Our COP Officers work closely with community organizations such as the schools, community councils, religious organizations, apartment complexes (Good Landlord Program) and neighborhoods to make sure that information is shared on crime and the needs of the community. COP officers provide public education by hosting public workshops on various topics to help our citizen know what to watch for and how to protect themselves from crime. We provide D.A.R.E. (Drug Awareness & Resistance Education) training to our elementary children to stop the epidemic of drug abuse at an early age. Midvale City is now a member partner of the UPD. As such, the Mayor sits on the UPD Board and has direct oversight on important issues such as budget, policy and administration. This is an excellent model for effective policing, resource sharing, and cost-effective law enforcement that will serve citizens well into the future.